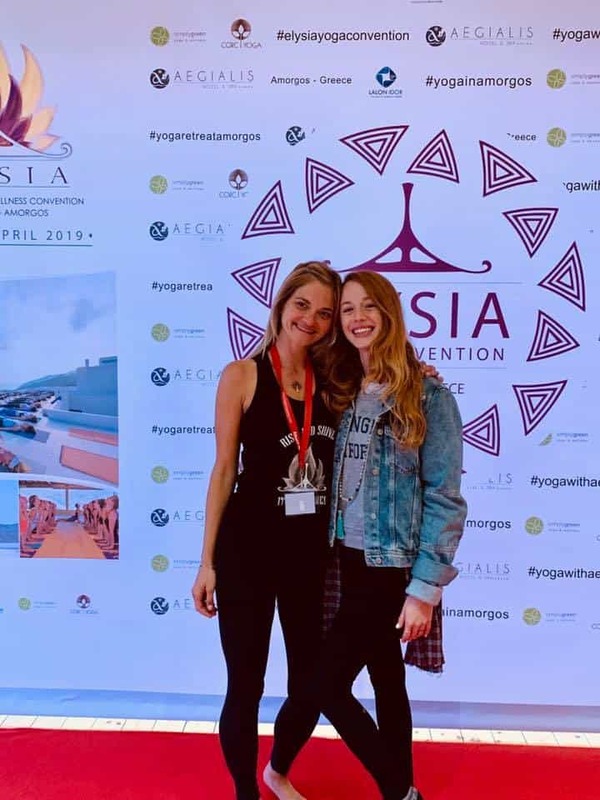 The 3rd annual edition of Elysia Yoga Convention welcomed over 80 yoga enthusiasts from all over the world for 7 days of good energy, yoga and wellness. 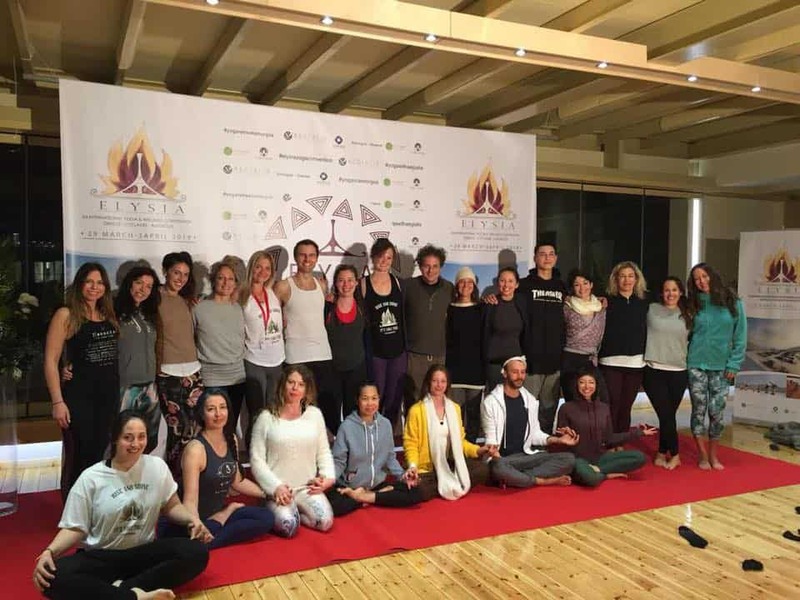 Today we woke up to the delicious breakfast buffet at Aegialis Hotel & Spa and then we made our way to the opening ceremony in the beautiful Namaste shala where we had a red carpet organised for photos and Miriam did a welcoming speech together with Mr Stamatis Giankopoulos. We then enjoyed some free time around the hotel and filled our bellies with more delicious food at lunch. 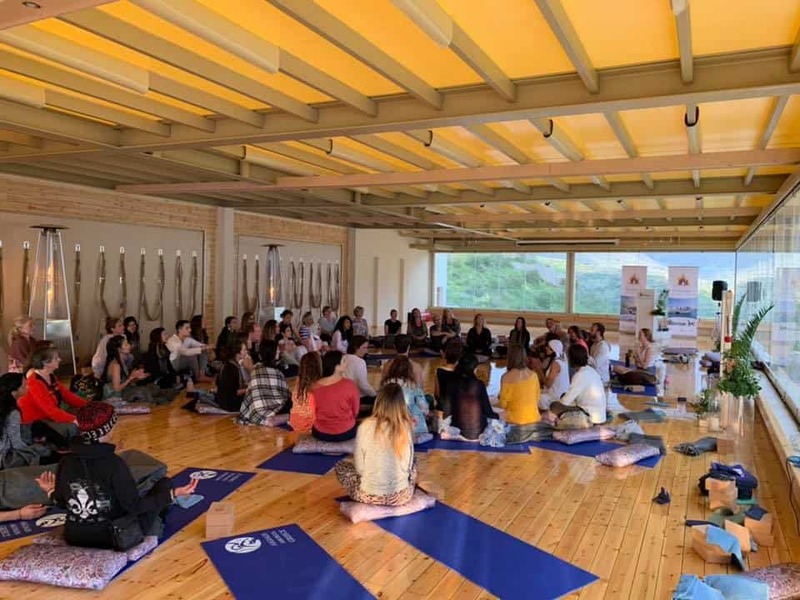 The two lovely afternoon classes were led by Melody in the Namaste shala and Nektaria in Anatolia. 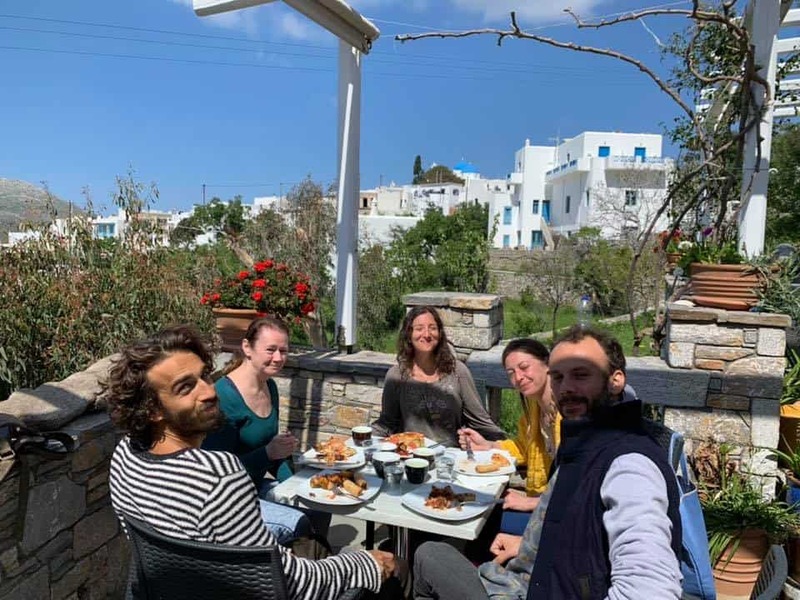 Afterwards we made our way to Ambrossia Gallery Restaurant for a delicious Greek cooking lesson and then a yummy dinner. 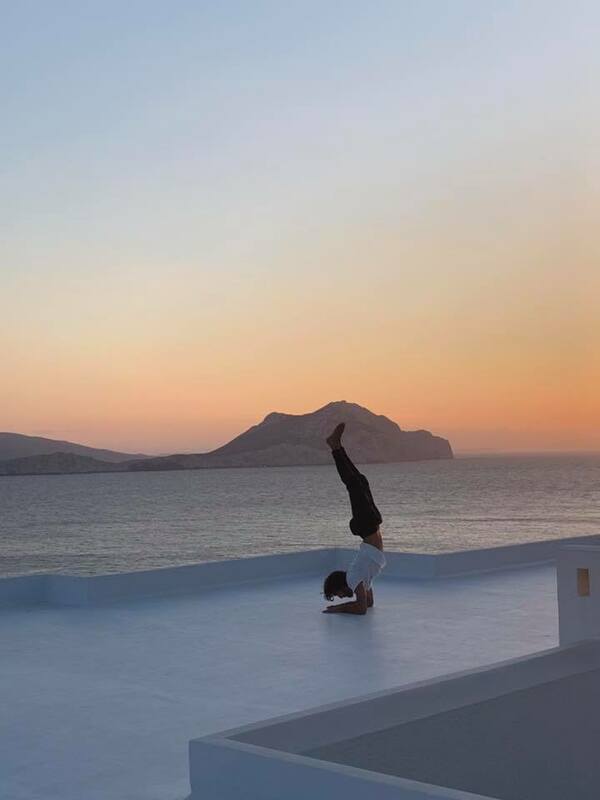 The day ended with a relaxing meditation by Mette. 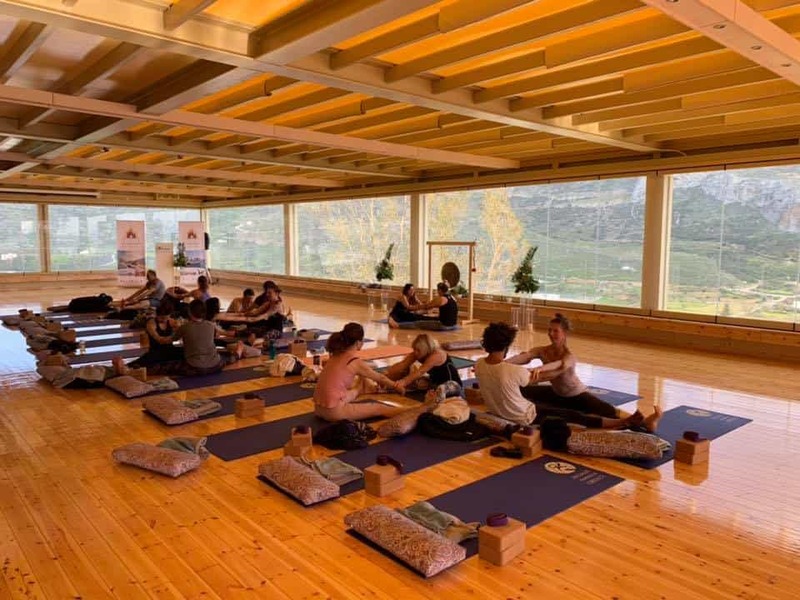 We started the day with two 7 am energising classes from Anja in Anatolia shala and Nikoldia in the Namaste shala, followed by the yummy breakfast buffet. 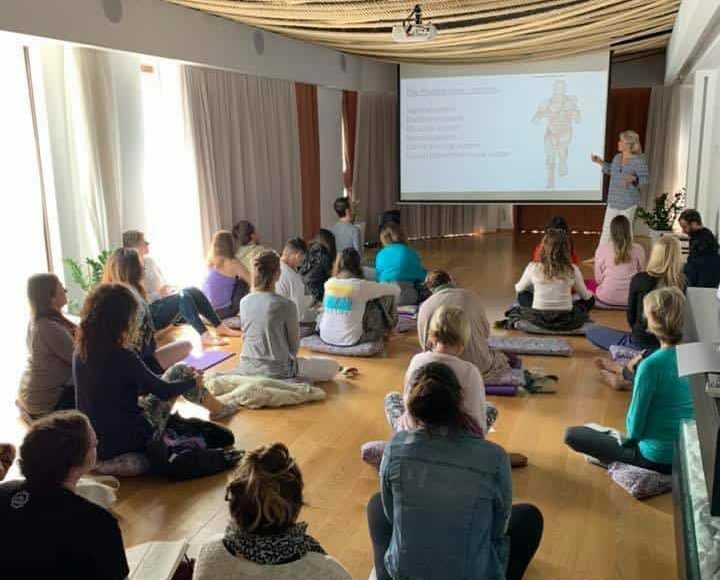 After a small break, we made our way to Elysia shala where Christine from cork yoga gave an insightful lecture on Cork yoga mats and the story behind their vision. 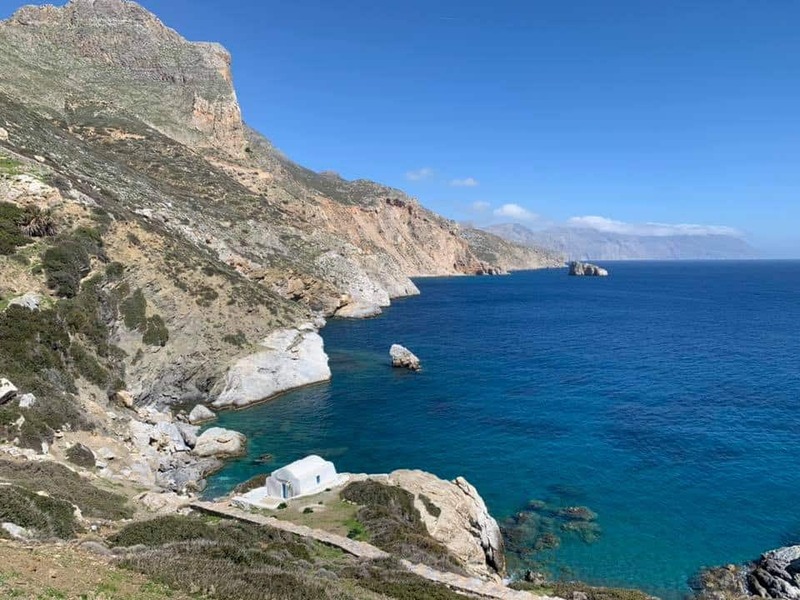 Afterwards, some participants relaxed at the spa, others went on the organised hike to Agios Ioanis, for lunch outdoors and exploring the beautiful scenery of Amorgos. 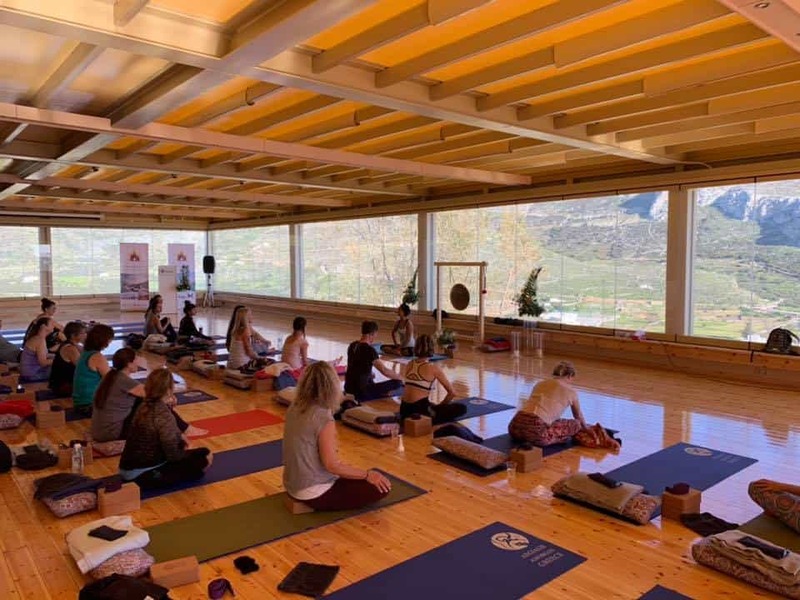 In the afternoon, we had two classes led by Samantha in the Elysia shala and Garth in Namaste shala. 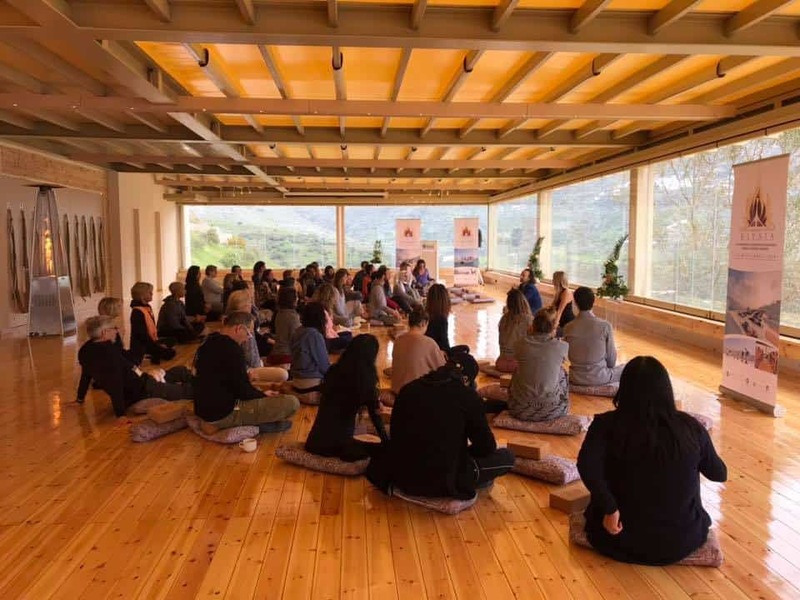 The evening meditation was led by Nektaria in Namaste shala. 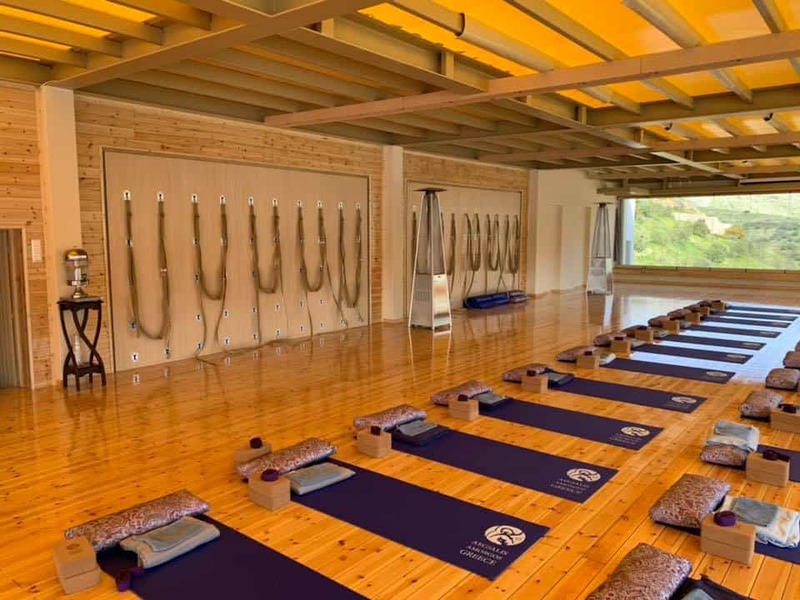 We had a beautiful start of the Sunday from Morena with Akhanda yoga in Namaste shala and Michelle with core vinyasa in Anatolia. 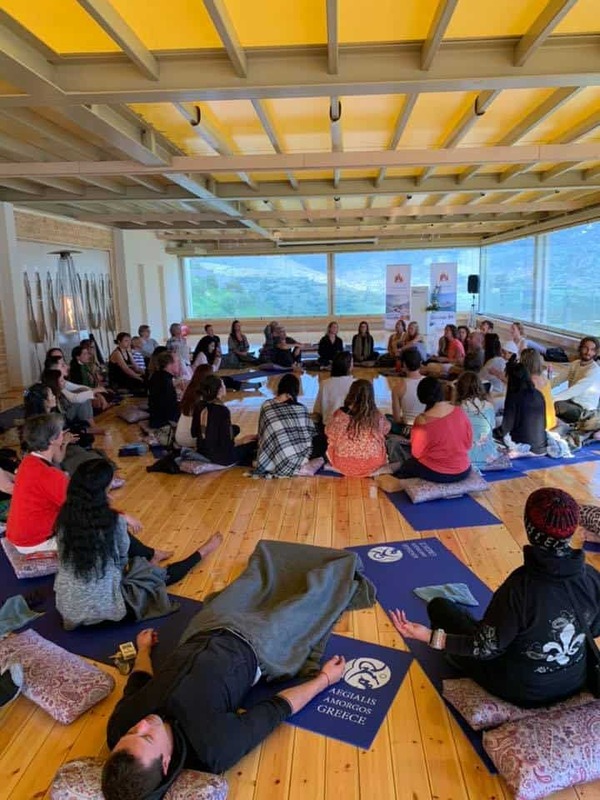 After yet another abundant breakfast, we had a great we had a chakra workshop led by Mette and afterward a lovely Ayurvedic rituals lecture by Karuna. 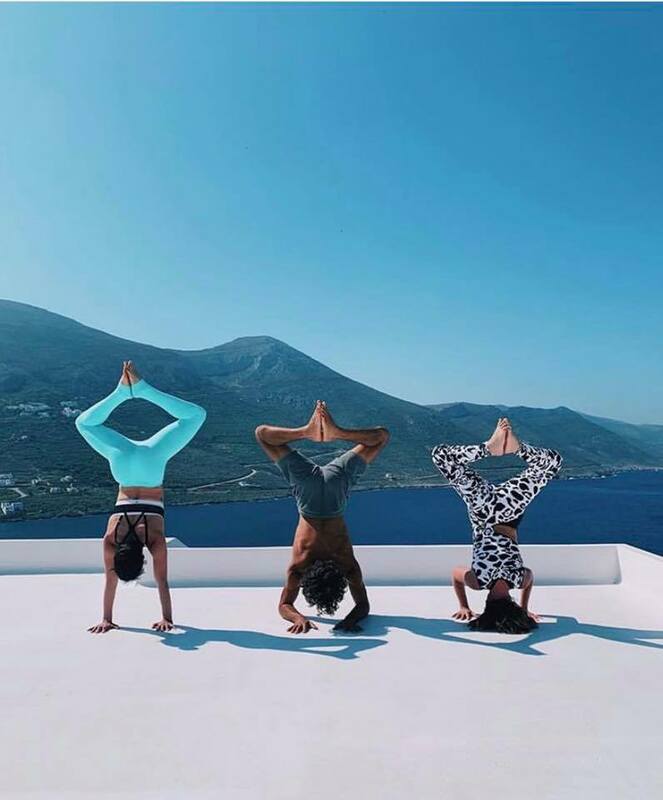 After a break in the sunshine and a lovely lunch, we had an intro class to headstands taught by Eileen and another class meditation and karma yoga led by Julia. 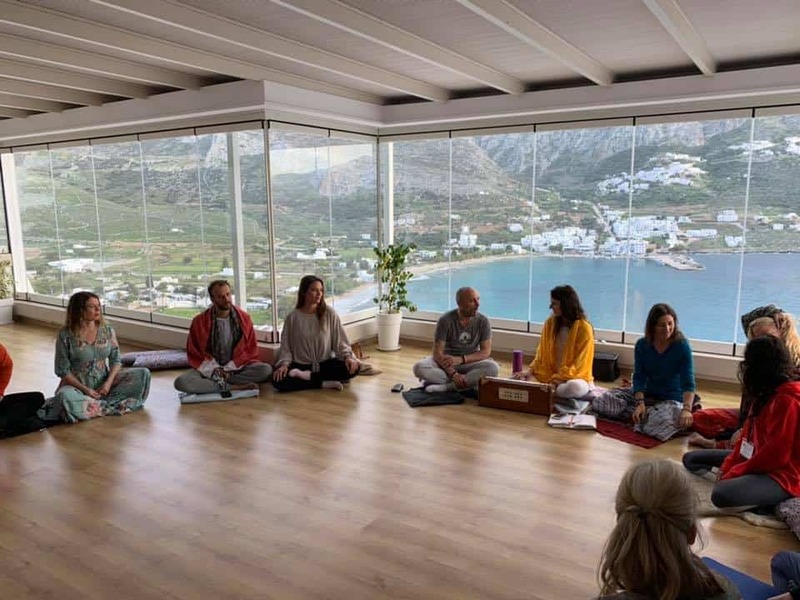 We finished with a beautiful Kirtan by Morena and a Hotravedic fire ceremony by Karuna. 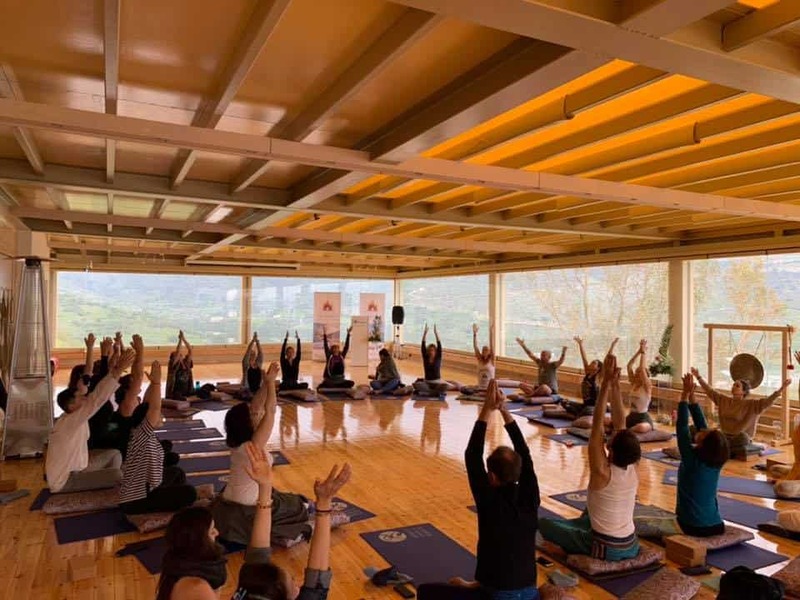 The sun was shining all day and we had a great start with two amazing classes by Alexandra Kaufmann in the Namaste shala & Lorna in the Anatolia shala. 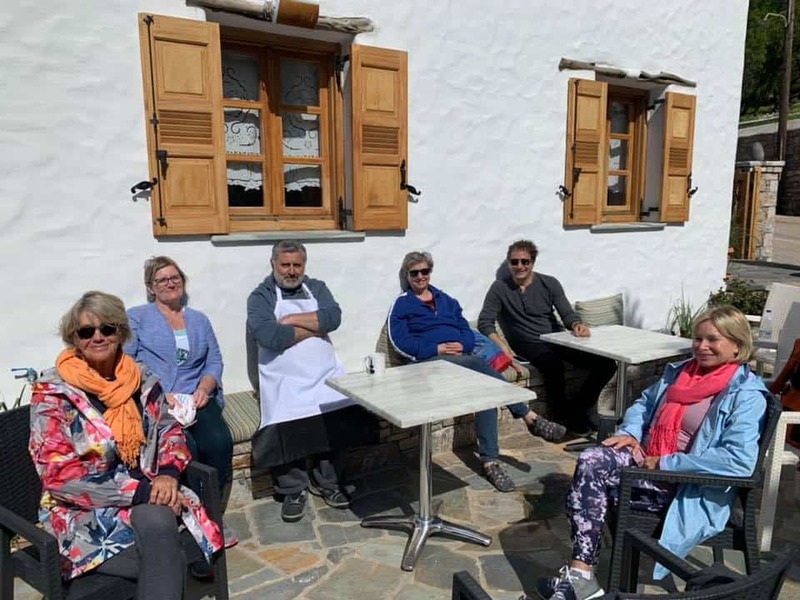 After breakfast, we went on a beautiful hike through the villages, Tholaria and Langada and we stopped at Tratarisma cafe in Langada for lunch and delicious sweet treats.. 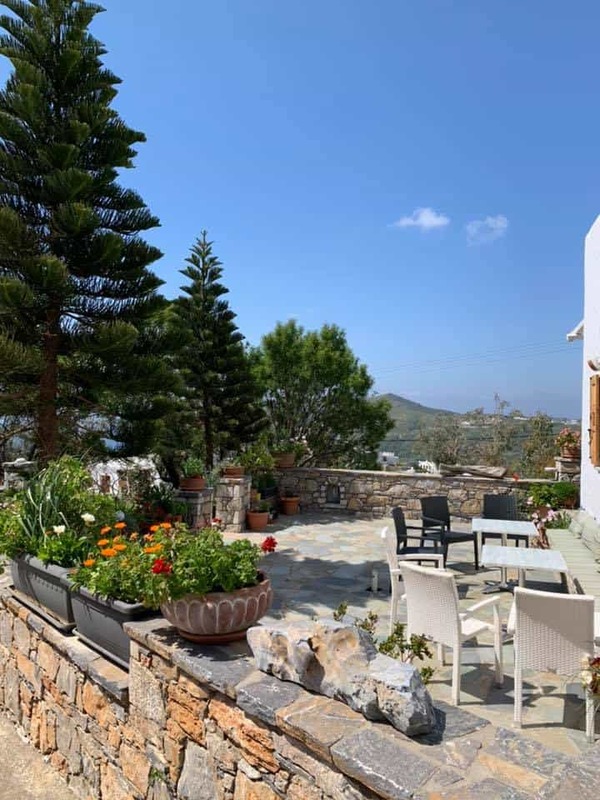 Thank you for your wonderful hospitality and traditional desserts from the team at Tratarisma. 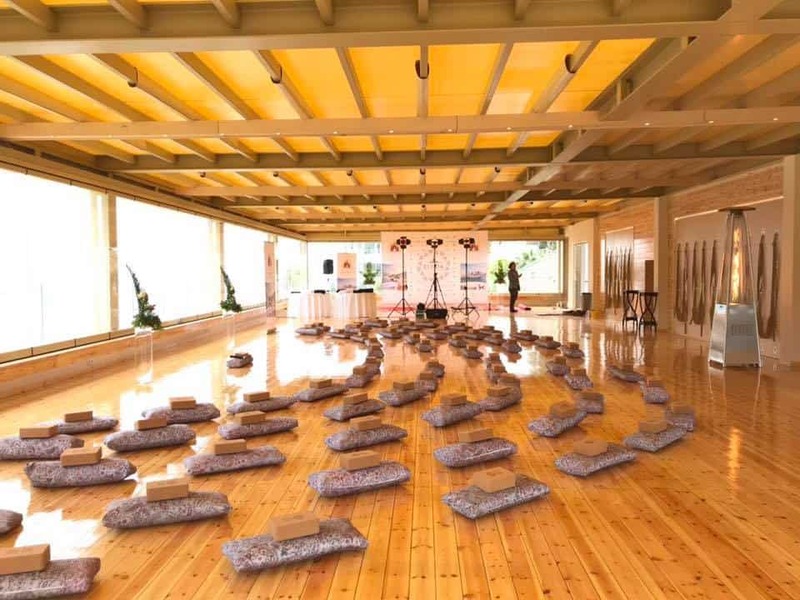 In the afternoon we experienced a beautiful vibrational reasonance class by David, followed by dinner. 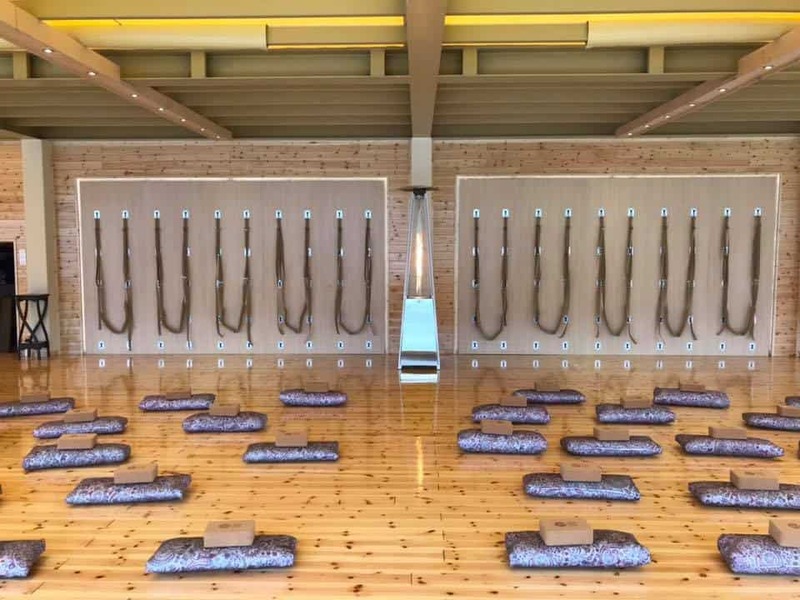 And we ended this blessed day with a lovely meditation, yin yoga and reiki class by Samantha. 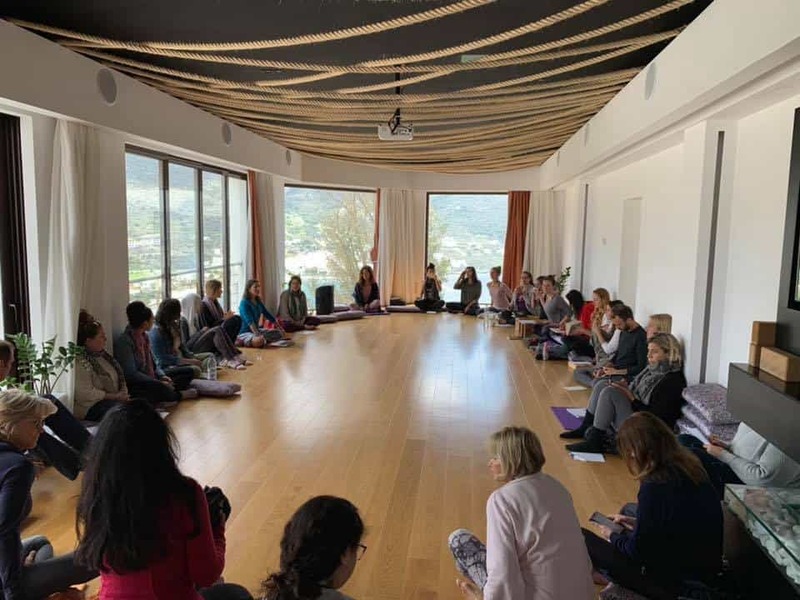 We had an energising start to a blessed Tuesday with two great classes by Cristal Gould in Namaste shala and Maya Dattani in Anatolia shala. 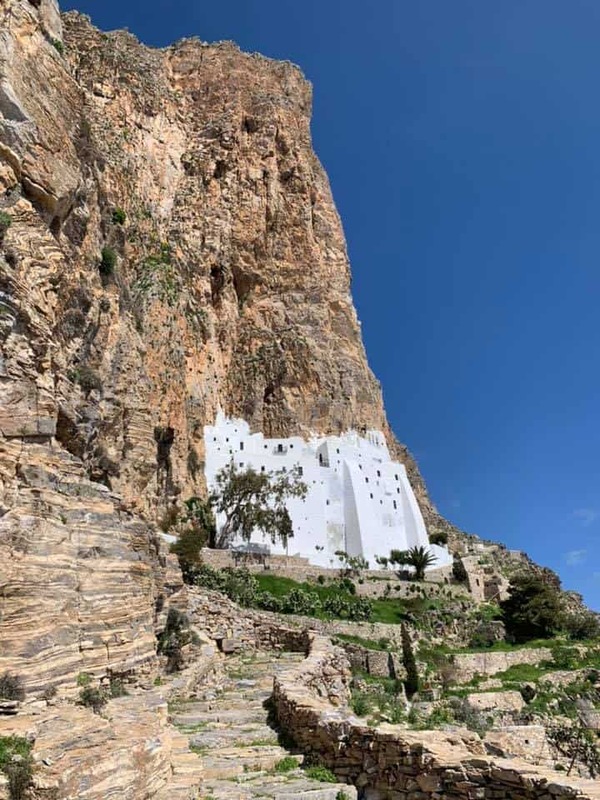 An exciting trip to the Monastery of Hozoviotissa followed as well as a visit to St George Valsamitis monastery, a quick stop to the famous location of the movie “The big blue” by Luc Besson at Agia Anna beach and a stroll through Chora. 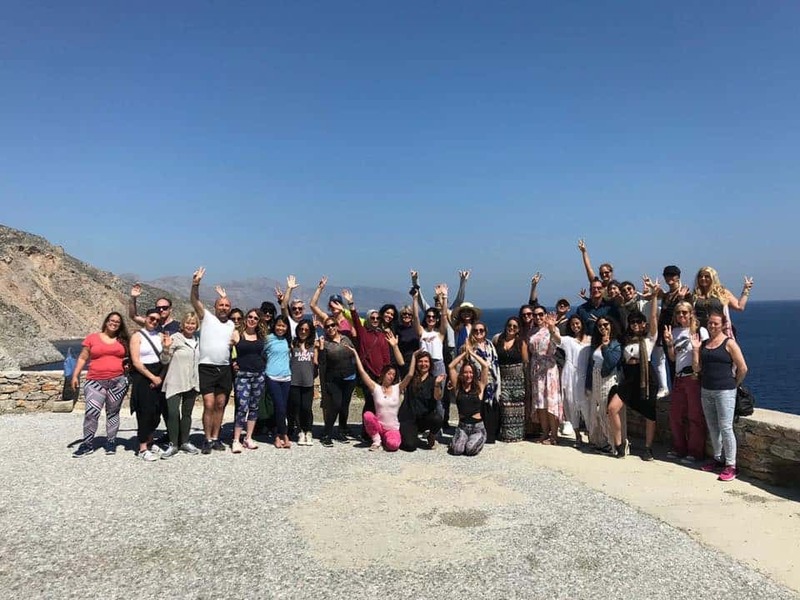 We learnt more about the island and created beautiful memories together. 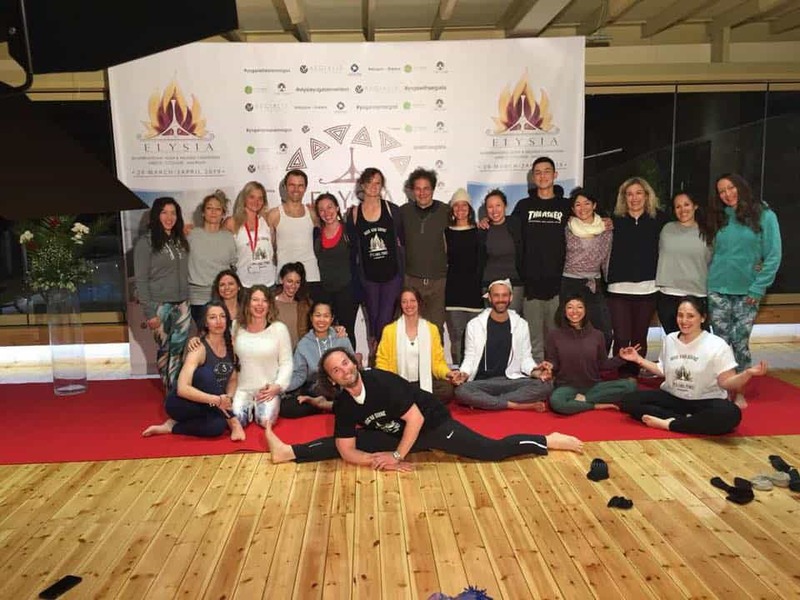 For the afternoon yoga classes we had Laetitia teaching a hip opening class in the Namaste Shala and Melina Gale led a fiery building Vinyasa in Anatolia. 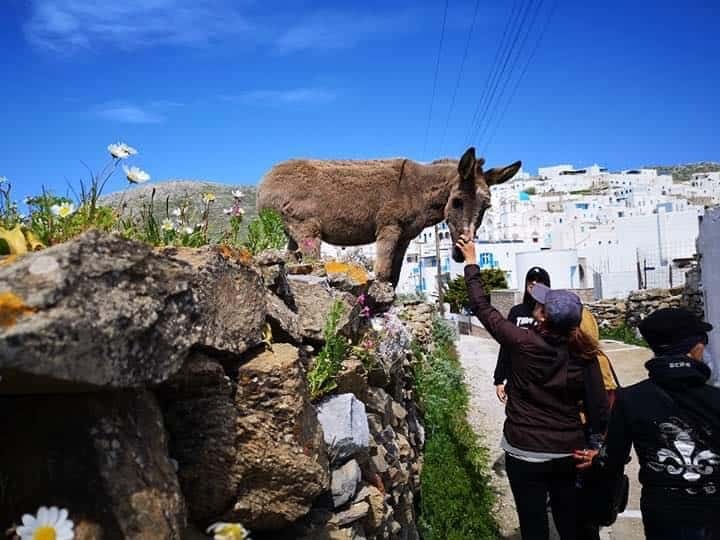 During the dinner, we experienced the Greek Night live entertainment, where Stamatis Giannakopoulos played the violin and we learnt traditional Greel dancing together. 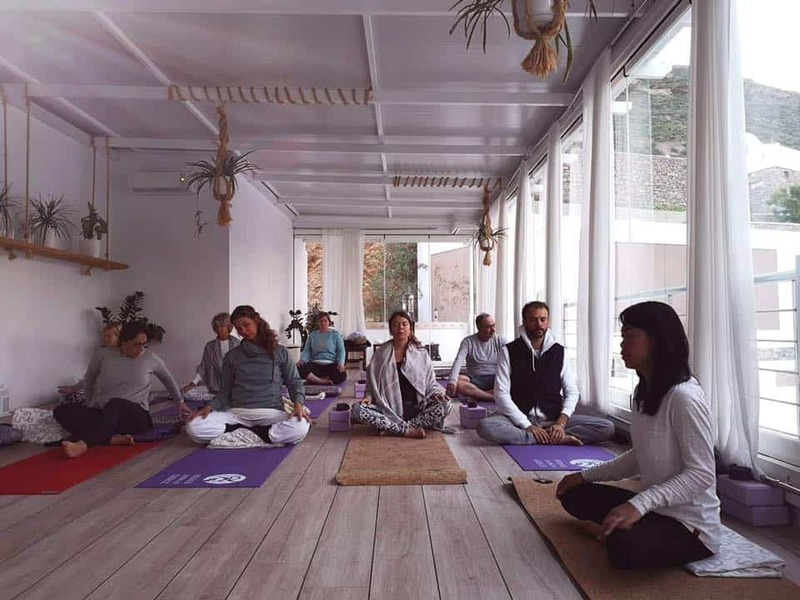 Before bed time, we had a beautiful movement and restorative meditation with sound healing led by Anja and David. 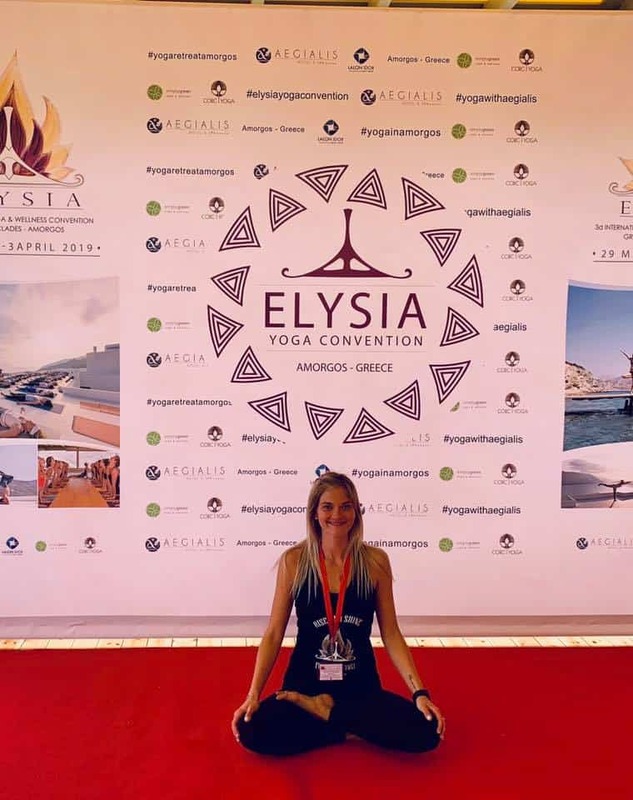 Sadly, we celebrated the last official day of Elysia Yoga Convention for 2019. 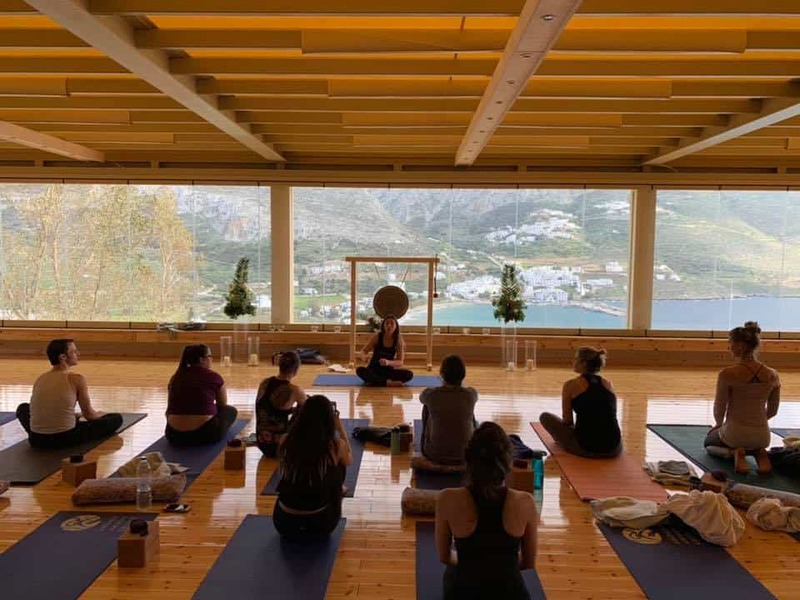 We started the day with a lovely class by Carlo on tantra yoga and then we had some free time to relax and take in the beautiful vibes of the island for the last day. 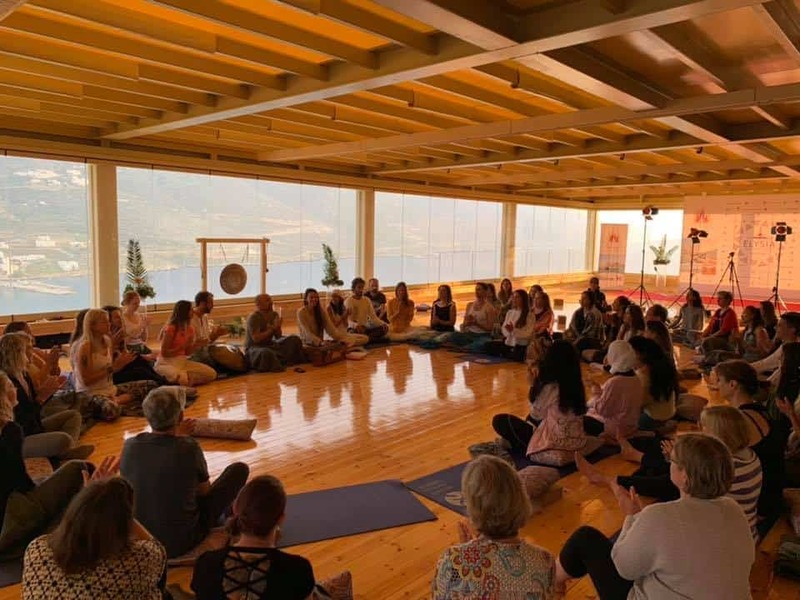 In the afternoon, Becca Thorne led a beautiful class of yoga for depression which was followed by closing ceremony Kirtan with Morena Firpo and a Kundalini meditation by Maya Dattani. 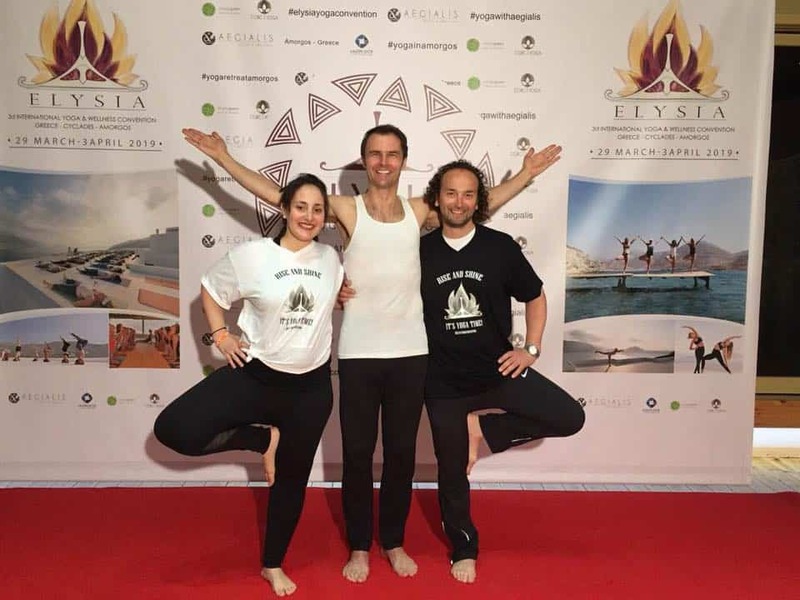 During our dinner together here for 2019, Aegialis Hotel & Spa surprised us all with a spectacular display of fireworks and all participants stayed outside dancing to music and celebrating the last moments of the convention together.